Orthodontic treatment is a very personal experience, and Dr. Stacy understands that each patient must select an approach that works for them. He is an experienced provider of a variety of orthodontic appliances, so you are sure to find an option that suits you! During your free consultation with Dr. Stacy, he will perform an examination, explain your treatment options, and provide you with all the information you need to begin your journey to a new smile! 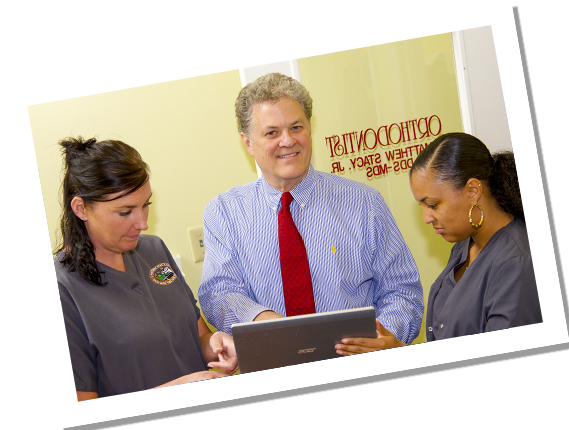 Dr. Stacy has been a board-certified orthodontist since 1982. In addition to his private practice, he also holds a number of positions at the UPMC Children’s Hospital of Pittsburgh, treating complex cases and serving as an educator for other dental professionals. 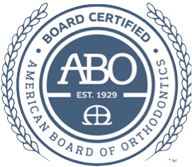 Our goal is to provide comprehensive orthodontic care while paying special attention to the individual concerns and needs of our patients. We provide several treatment options and develop a treatment plan specific to each patient. Dr. Stacy places all orthodontic appliances, braces and arch wires himself, and meets with every patient at each office visit. Dr. Stacy utilizes a variety of today’s advanced brace technologies, which are manufactured to be more comfortable for the wearer, and to decrease treatment times. Our office mission is to provide the best, most precise orthodontic treatment in a warm and caring environment, resulting in high patient satisfaction and excellent oral health. Correct alignment not only improves your appearance, but also benefits your over-all dental health. Starting with your first visit to our office, you will be met with kind, compassionate staff members who provide a secure environment for all of our patients. Every one of our patients is treated in a special, individualized way, and is seen as a member of our extended family. “I am a Dental Hygienist. I have been admiring Dr. Stacy’s beautiful results on my patients for years. When it came time for me to correct the crooked teeth in my own mouth that I was not happy with, Dr. Stacy and his staff made me feel comfortable. Dr. Stacy is very nice, approachable, easy to talk with and takes time to talk to you. My smile looks wonderful as does my bite and function of my teeth. I highly recommend Dr. Stacy. No matter how mild or involved your concerns with your smile may be you can completely trust Dr. Stacy. His experience, expertise and kindness will exceed your expectations.” -Amy S.
“I have been impressed with every aspect of Dr. Stacy’s office and staff. I am very pleased with the results of my orthodontic treatment, and Dr. Stacy made what could have been an unpleasant experience, easier to handle. The staff has always been friendly, courteous, and make scheduling appointments very easy. The office where I work has the opportunity to refer patients to orthodontists for treatment. Dr. Stacy is always #1 on our list. Our patients come back to us very satisfied with our reference. It is nice to know that we have someone that we have confidence in to send our patients to. Thank you for such good care.” -Laurie K.
My daughter now smiles broadly, no longer with her hand in front of her mouth. She loves to laugh and now does so without embarrassment. Dr. Stacy provided more than just straight teeth–he gave her a tremendous boost in confidence. We’re delighted with the results. Click here to Email Us for an Appointment!